Wireless > Wireless Solutions > Father and daughter baking in kitchen for christmas. Father and daughter baking in kitchen for christmas. 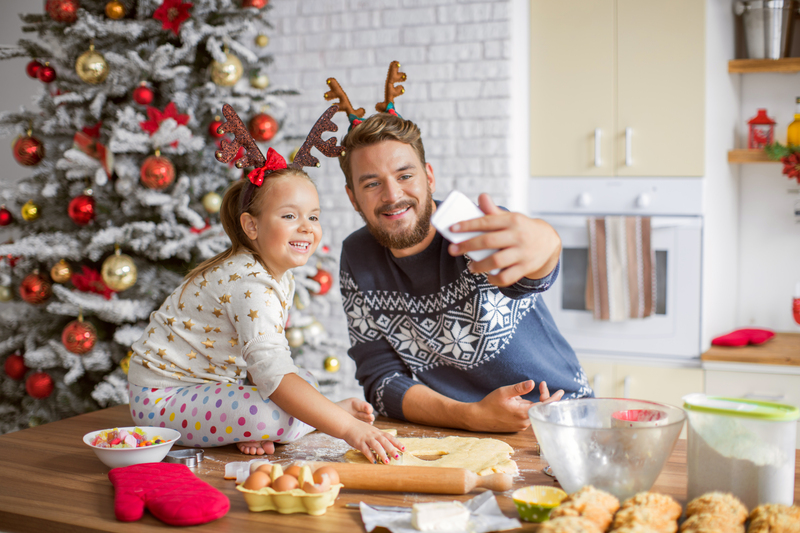 Father and his cute daughter baking in kitchen for christmas. Playing with dough, making cookies or muffins. Kitchen is decorated with christmas ornaments and three. Father taking selfies with smart phone.